New features in Pega Platform™ improve how you connect your application to distributed resources for real-time access to your data. Easily connect your application to distributed resources for real-time access to your data through the data management and integration capability enhancements. Experience instance access to your data by sourcing attachments from file storage repositories and improved Service REST processing. external systems in an application. 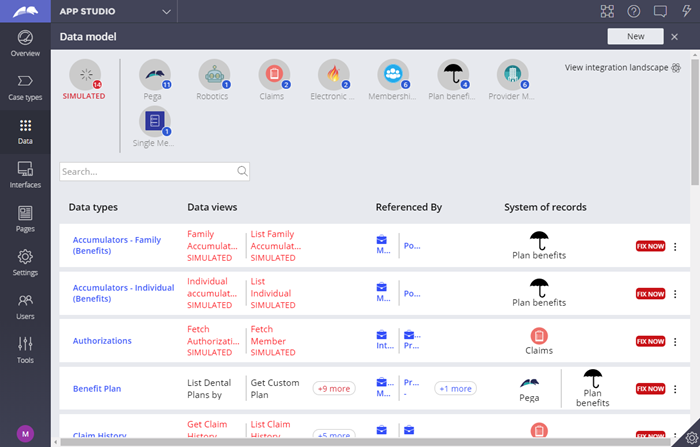 Drag-and-drop functionality simplifies connecting data sources to application data views, eliminating the need to know the technical details of the integration. To learn about all the new features in Data Management and Integration, watch the What's New video below. Looking for What's New in 8.1 videos? View them in our Pega Community Video Library.